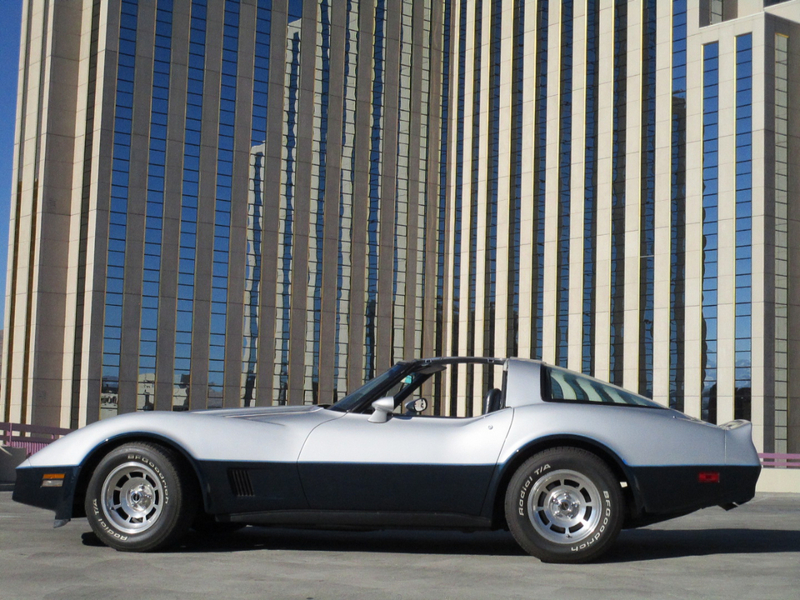 1981 Chevrolet Corvette with T-top. It has a 350 cu. in. engine and 4 speed transmission, The exterior is silver and dark blue with pin stripping in between for a very classic look. The interior is dark blue leather and in very good condition. The car has power steering, power windows, power seats and air conditioning. The T-top glass has a cover for each and is easy to remove and replace. This car runs and drives well.